13 shades of naturally dyed organic poll dorset 4 ply wool to crochet the plaid featured in the March issue of the French Marie Claire Idées. 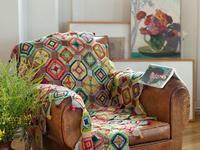 The colours reflect the rich imagination of the plaid's designer Cécile Balladino better known as Eclectic Gypsyland. 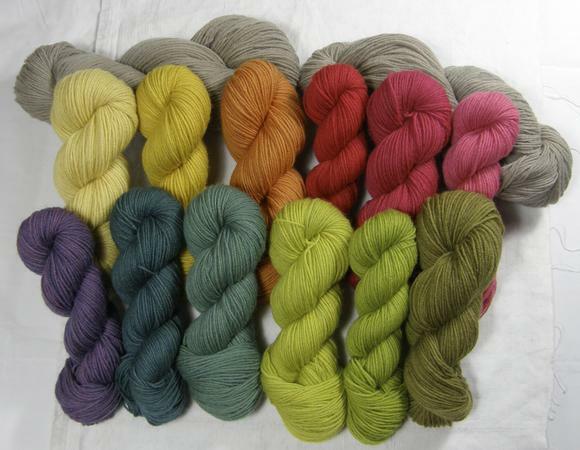 The kit weighs 720g in total and the 13 shades are dyed with cochineal, weld, madder, indigo, onion skins and oak galls. 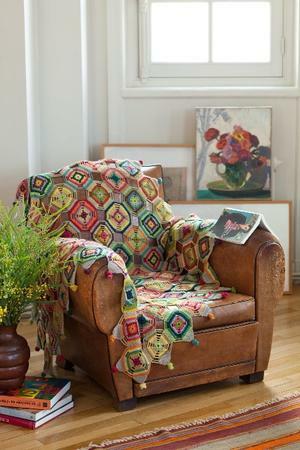 The Kaleidoscope Throw is approximately 120cm square. The pattern for the plaid in English. A link to download it will be sent to you with your confirmation of purchase e-mail. 50g each of Organic Poll Dorset - Banjo, Lampion, Roulotte, Tango, Frou Frou, Tarot, Madonne and Aventure. 30g each of Organic Poll Dorset - Gipsy, Jupon, Bijou and Verdine.